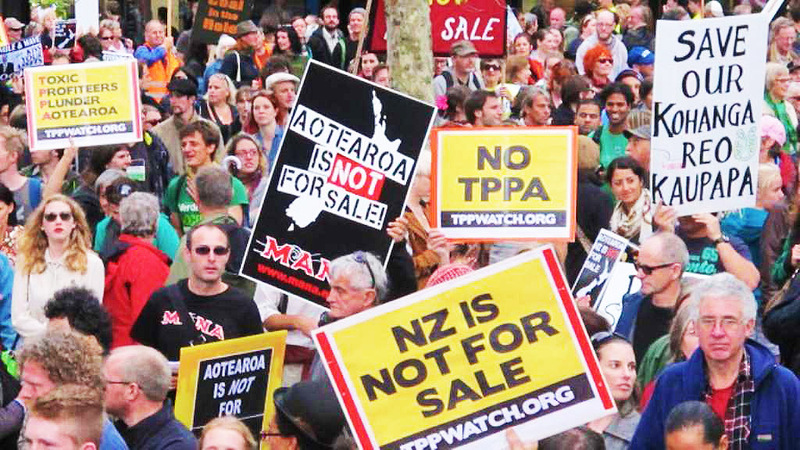 Our New Zealand government is currently negotiating a massive trade treaty, behind closed doors, that could hand corporations the power to overturn our laws in secret courts. The Trans-Pacific Partnership (TPP) is called a trade deal, but it is really a huge corporate wish-list aimed at attacking everything from environmental protections to affordable medicines to internet freedoms. And, it would let corporations sue us for any laws they think hurt their profits. Tobacco giant Philip Morris is suing Australia for billions of dollars in lost profits because the government took action to reduce teenage smoking. Pharmaceutical giant Eli Lilly is suing Canada for $500 million, just because Canada has laws to keep life-saving drugs affordable. Swedish energy company Vattenfall is suing Germany for its decision to phase out nuclear power. If we sign up to the TPP, future laws designed to protect consumers, our health, and our environment could be overturned –and there is nothing we or our elected governments could do to stop them. 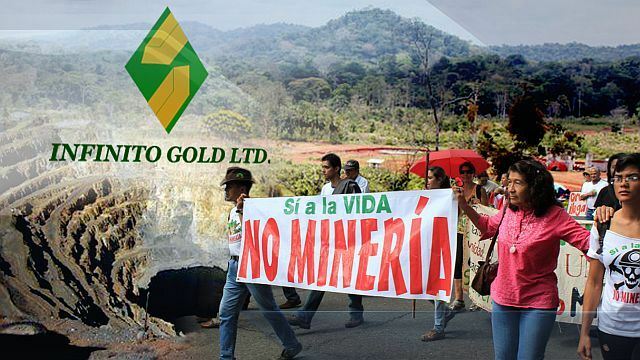 At this moment, Canadian company Infinito Gold is suing the Costa Rican government for over $1 billion because Costa Rica rejected Infinito’s plan to build an open-pit gold mine in a pristine tropical forest. Over 75 per cent of Costa Ricans are against the proposed mine, and in 2011, Costa Rica banned all open-pit metal mining in the country. In March 2011 the New Zealand Government committed to a goal of New Zealand becoming smoke free by 2025. This admirable and achievable goal will allow our children and grandchildren to be free from exposure to tobacco and tobacco use. It is not a ban on smoking. The goal is that the smoking prevalence across all populations will be less than 5% and tobacco will be difficult to sell and supply. Imagine, as is currently happening in Australia, if our government is sued by the tobacco giants for discouraging smoking. Potentially every New Zealand taxpayer would be beholden to the tobacco corporates. Since the 1980s New Zealanders have witnessed the increasing ability of corporations to influence government policy. We don’t need further erosion of our democratic rights. We need to be masters of our own destiny.